The purpose of this program is to provide an opportunity for at risk youth to develop mentally and emotionally in a safe, healthy, active and fun environment. This is done at no cost to the participants. T his program services youth in the central Ohio area that have been placed in Foster care, the care of the Department of Youth Services and/or Department of Family Services. 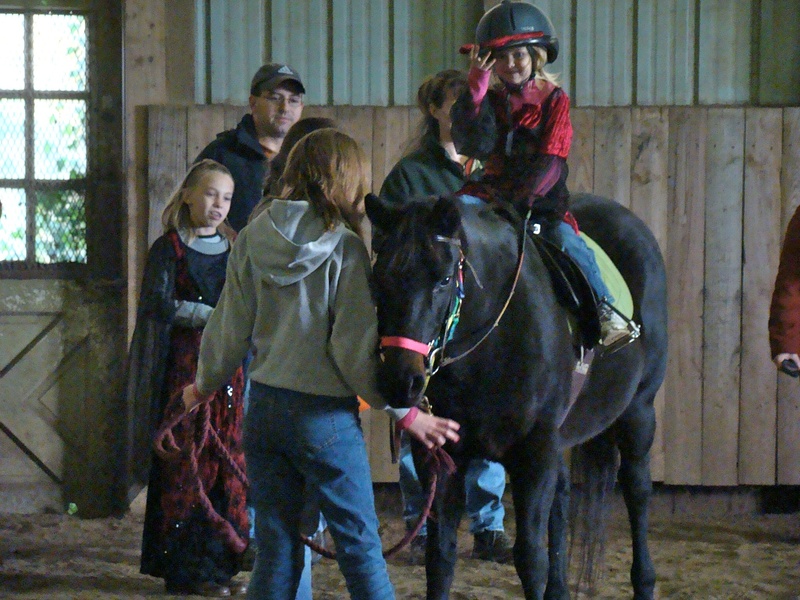 This is a rider centered program focusing on developing the skills and knowledge to become independent riders. By working with the horses, the youth develop a sense of responsibility for their experience with the horse. It teaches them consequences of actions in an immediate and nonthreatening manner which allows them to develop a confidence about their decisions. The horses offer unconditional trust and love which allows the youth to develop close emotional relationships with the animals, improving their perception of their own self worth and assisting them in developing better socialization skills. The group setting offers a healthy comradery with their peers as they develop their riding skills while helping each other to be brave and try new skills with their horse.